Members may be aware that The Data Protection Act 1998 will be replaced by The General Data Protection Regulation 2018. Click this link to view or download the Braintree Area Data Protection Policy agreed by the Committee Members at their meeting on 5th September 2018. Should you have any queries please contact the Membership Secretary. You can send an email to a specific Committee Member by clicking on their name below. All membership enquiries should be sent to the Membership Secretary, if you have other enquiries, and are unsure as to whom they should be addressed, send them to the Web Editor and they will be forwarded as appropriate - or use our mobile telephone service available 24/7 on 07938 982 183 where messages can be left. Your committee meet on the first Wednesday of each month, if you have ideas or suggestions for improvements to our branch of the U3A please forward to the Secretary at least 1 week before to be included on the meeting agenda. 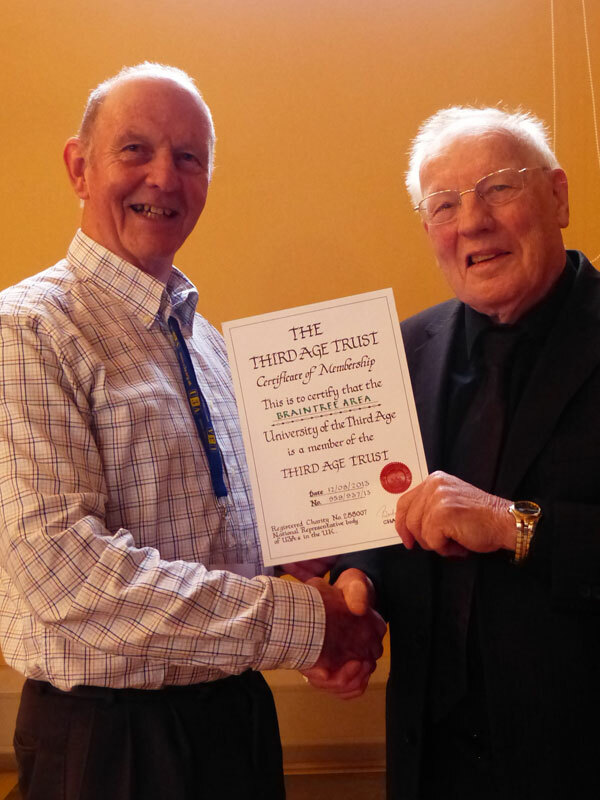 Any member of Braintree Area U3A can be nominated as a member of the committee by completing and submitting a nomination application form which will be made available from early January onwards. 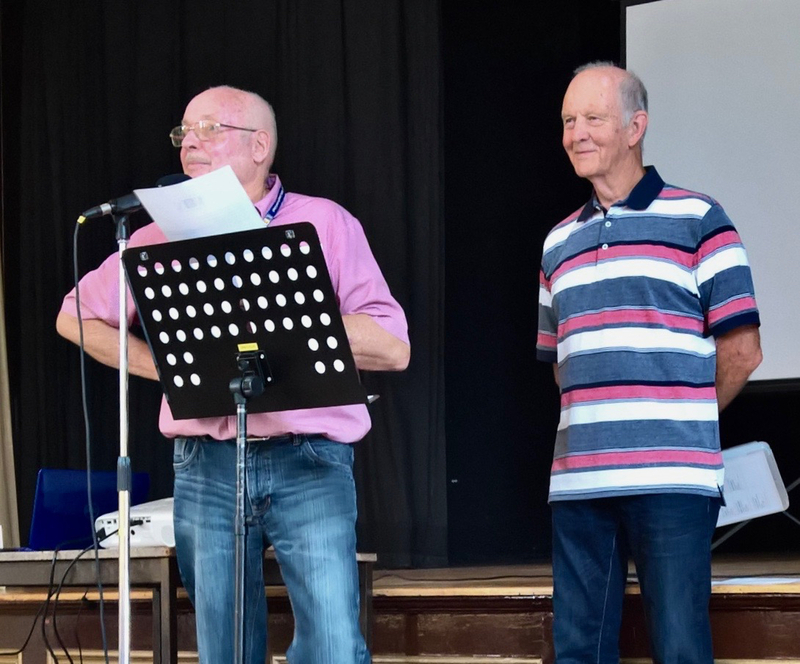 Geoff Mead was re-elected as our Honorary President at the AGM on 17th April 2019. The Honorary President serves until the next Annual General Meeting. An Honorary President may be re-appointed at each AGM for a further term for as long as is agreed. Minutes for the last 6 months Committee Meetings are available in the right hand column. The latest Financial Report is also available there. If you want a copy of an earlier set of Minutes or a Financial Report please send a message to the Committee Secretary, Treasurer or Web Editor.